The Grand Vizier Jaffar has thrown you into a dark dungeon and plans to marry the girl of your dreams in an hour. You're not going to let that happen are you? Try to escape from the dungeon, take out Jaffar's guards, find your way through the Sultan's palace and defeat Jaffar himself. Now go, you've got 60 minutes! 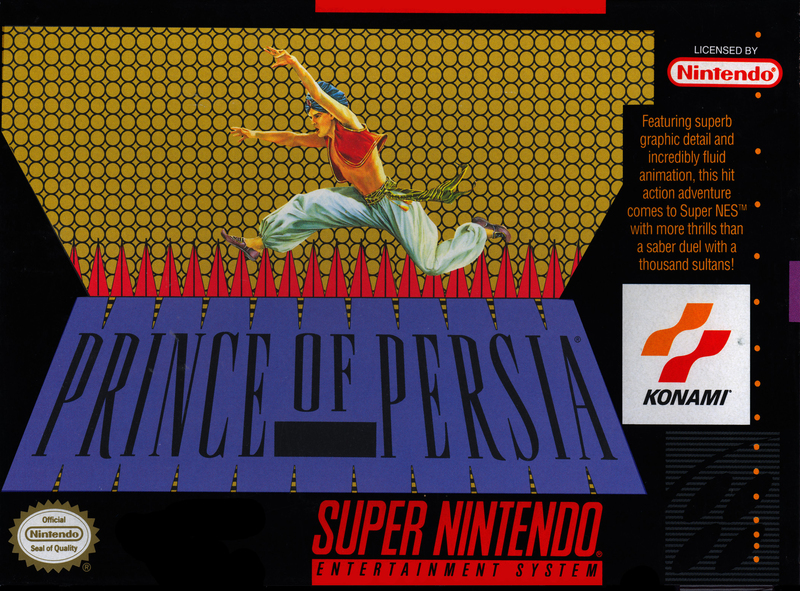 Prince of Persia is a 2D platformer with run and jump gameplay. Your hero must avoid deadly traps, solve some simple puzzles and engage in sword fights with the guards. The player has an infinite amount of lives, but has to restart at the beginning of a level each time he dies, and must complete the game within an hour. An especially noteworthy aspect of the game is the very fluent animation of your character. The Game Boy Color and SNES versions of the game feature additional levels and new enemies.